I can't be the only person who lingers around perfume counters inhaling the intoxicating fumes of a certain scent only to forever decide against it as it is too pricey to justify? Or maybe you book in for a wax down under only to wuss out? 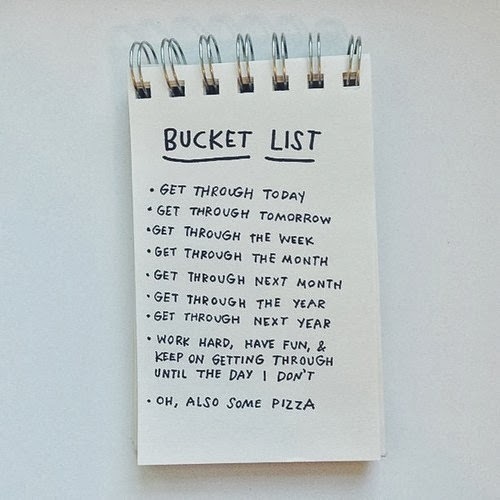 Both of which I am guilty of and have lead me to composing a list of beauty products and services I want to try before I die (god what a happy subject) hence The Beauty Bucket List. 1, Save up and own a tub of Crème de La Mer face cream even if it is just the once. 2, Understand the fuss of Chanel No.5 Parfum - I think this is one of those scents you grow to love non? 3, Go for a Brazilian wax..,gulp! 4, Get my eyebrows tattoo'd on, oddly this does not seem as scary as above. 5, Speaking of tattoo's I would like the one behind my ear and on my neck removed via laser. 6, Another mention of lasers and I would like to try "real" lazer hair removal. 7, An odd one but it is somewhat beauty related - I would like to film at least one YouTube Tutorial. 8, Enrol in The Academy of Make-Up in Glasgow and get some make-up artistry classes under my belt. 9, Master the art of the feline flick eye liner and be able to apply false eyelashes like a pro. 10, Last but not least is another perfume aim and it is to own all the Tom Ford Private Blend fragrances...not asking for much am I? Some points are obviously going to be easier than others to achieve but that's all part of the fun isn't it? What makes it on to your list? 2, 5 and 7 for me. Number 7 scares me the most! I know that I really want to try a high end lipstick at some stage! Love this post, your list sounds like what mine would haha, love the tom ford fragrances! I don't get Chanel No5 either! Love these, I'm not a fan of chanel no 5 Either! My mum had her brows done and I don't think is as bad as it seems and they look great, and youtube video please do it! You will be fab! I so agree with number one, my great aunt (87yrs old) uses Crème de la Mer and I swear she only buys it so it's seen in her bathroom!! Also agree with no.3, the same aunt loves Chanel No.5, my mum is only *Just* starting to like it and I still think it's way too old for me at my tender 26 years. One on my list is to own a Guerlain Rouge de G Jewel Lipstick. SO pretty. I have to agree on Chanel No. 5, I don't see what all the fuss is about. My Mom and female friends love it, but I think it smells too mature for myself. I really would like to get the Brazilian wax done too... But I don't think I will ever have the nerve! I waxed my bikini line once and cried from how painful it was. >.< Bit wuss! 3 is okay if they use hot wax, don't have it with the normal stuff! I've wanted my eyebrows tattooed on for ages, but my artist won't let me! Haha. 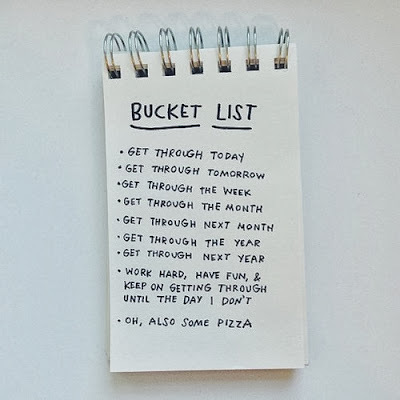 I have a list like this as well, good luck, dear! I would also really like to take some make up classes!!! Wow! You have a lot of big wishes but I'm sure it will all be possible in time! I really want to learn some new makeup tips and skills also just so that I can experiment a bit more! If love to be brave enough to get some of these done. Oh I love it. So sweet. I also want to be able to put on false eyelashes on like a pro- I'm useless at it! Such a lovely and original post. I like Chanel no.5 but I think it's because my mother and my granny always wore it. Probably my main thing on my beauty bucket list is to branch out to high end make-up/skin care, however I just can't break out of my comfort zone just yet! What an amazing idea, love your list! One of my points would definitely be to own ALL the YSL Rouge Volupte lipsticks and have them all on display since they're so beautiful! I'm going to the Academy Of Make Up next week for a course! Then another two next month ^-^ have you been to visit? I went and got to meet and chat to Sara, she was so down to earth and easy going! My #1 would be to be to be a special effects artist for TV or film, even just once! Just an FYI - I'm a perfurmista, I collect perfumes and I never understood Chanel no 5 until I got a small decant of the pure Parfum (not the EDP, the pure parfum). After that, I understood it's place in the perfume world. However, our emotions and experiences are so tightly connected to our sense of smell that it makes everyone's preferences very personal. So you may never like Chanel #5. No biggy, there are lots of others. FWIW, me and Shalimar have yet to make friends.